Cire Trudon's 'Madurai' candle is influenced by Jasmine's "quintessential role in India's myths, legends and daily rituals." 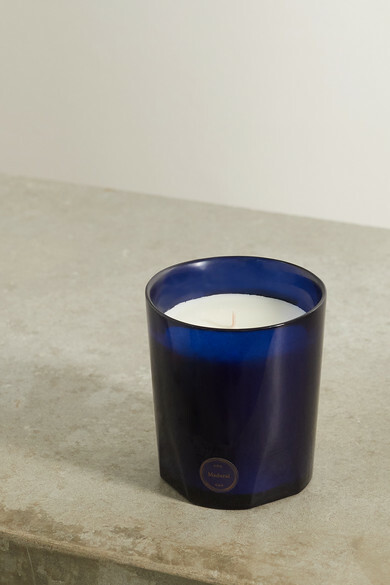 Its hand-poured wax is fragranced with top notes of Ylang-Ylang and rounded off with sweet base notes of Benzoin Resin. 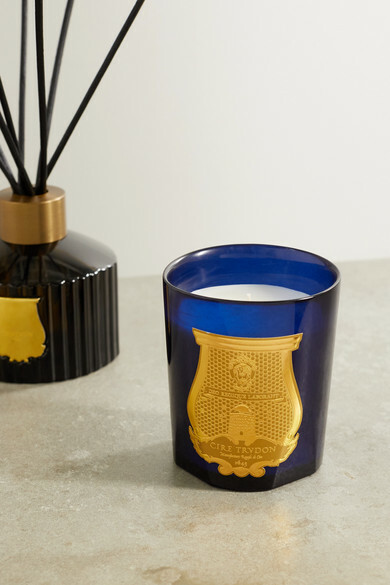 Housed in a navy glass vessel hand-blown by artisans in Italy, it makes a sophisticated addition to any room.